In 1987 we were introduced to a group of couples, of friends... "thirtysomethings." 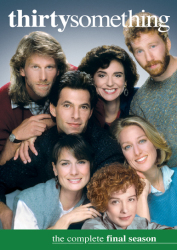 A dream cast of characters that from the very first episode resonated with a nation of people who knew these people all too well. 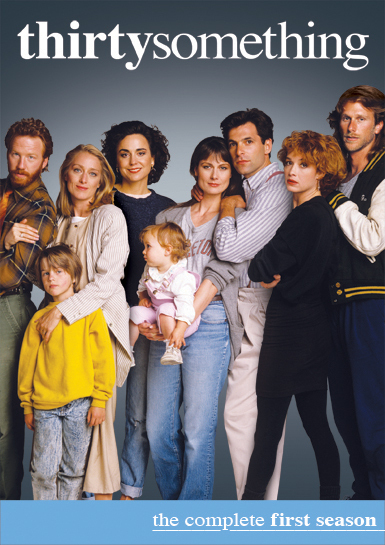 Michael (Ken Olin, Brothers And Sisters) and Hope Steadman (Mel Harris), the suburban "new-parent" poster children; Elliot (Timothy Busfield, The West Wing) and Nancy Weston (Patricia Wettig, Brothers And Sisters), a couple whose marriage is falling apart; Gary Shepard (Peter Horton, In Treatment), the perpetually "twenty something" thirtysomething; Melissa Steadman (Melanie Mayron), Michael's cousin and a struggling artist; and EllynWarren (Polly Draper), the driven but restless career-chaser. Created by Marshall Herskovitz and Edward Zwick.